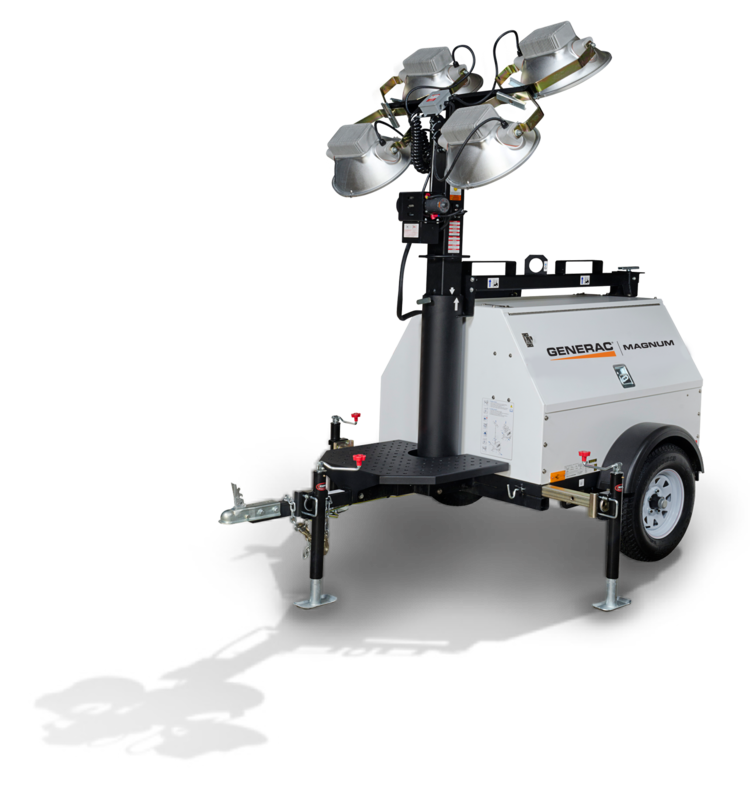 The Generac Magnum MLT4060MVD light tower is a cost-effective solution for all kinds of temporary lighting needs. Not only is this light tower self-sufficient due to its ECOSpeed engine, requiring no outside electrical source, it produces up to 6kW of consistent export power. The MLT4060MVD light tower offers the same rugged durability and reliability that you’ve come to expect from Generac products, all contained in an easy to use, compact design.